Westminster Cathedral in London is the mother church of the Catholic community in England and Wales and the Metropolitan Church and Cathedral of the Archbishop of Westminster. 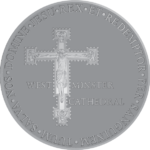 It is dedicated to the ‘Most Precious Blood of Jesus Christ’.The site on which the Cathedral stands originally belonged to the Benedictinemonks who established the nearby Westminster Abbeyand was purchased by the Archdiocese of Westminsterin 1885. 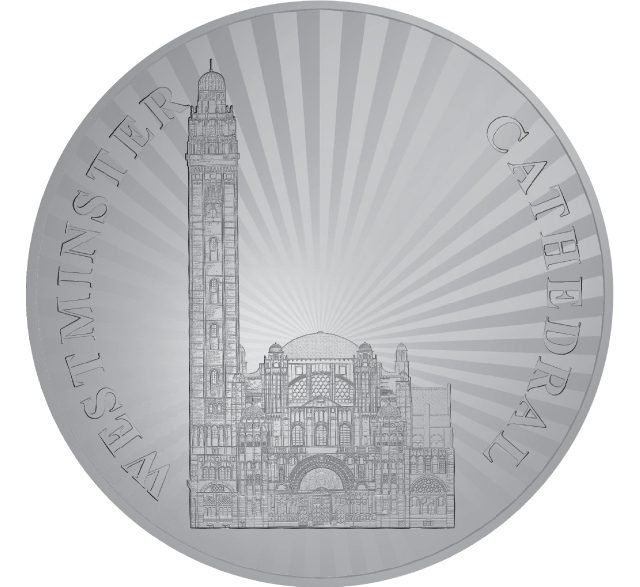 The cathedralis located in Victoria, SW1, in the City of Westminster. It is the largest Catholic church in England and Wales. The whole building, in the neo-Byzantinestyle, covers an area of about 5 017 m2 (54000 sqft); the dominating factor of the scheme, apart from the campanile, being a spacious and uninterrupted nave, 18 m (60 ft), covered with domical vaulting. There are beautiful mosaics and marbles inside, and many other artworks including the ‘Stations of the Cross’ by Eric Gill.